Green Parking, originally uploaded by Araleya. This bicycle was parked on the bund of paddy field. 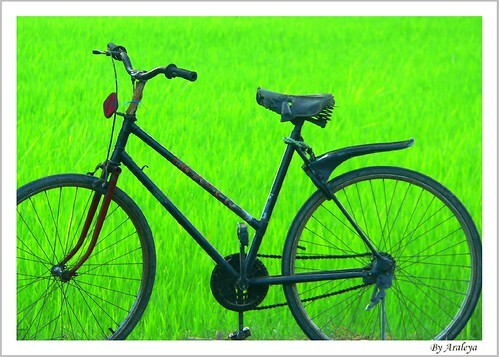 The shape of old style bicycle was driven out by the endless green of paddy field in October. The bike finds its beautiful parking... grren parking..